I am lucky; my work is also my passion. I LOVE showing children (and adults) the delights of playing in woodland. 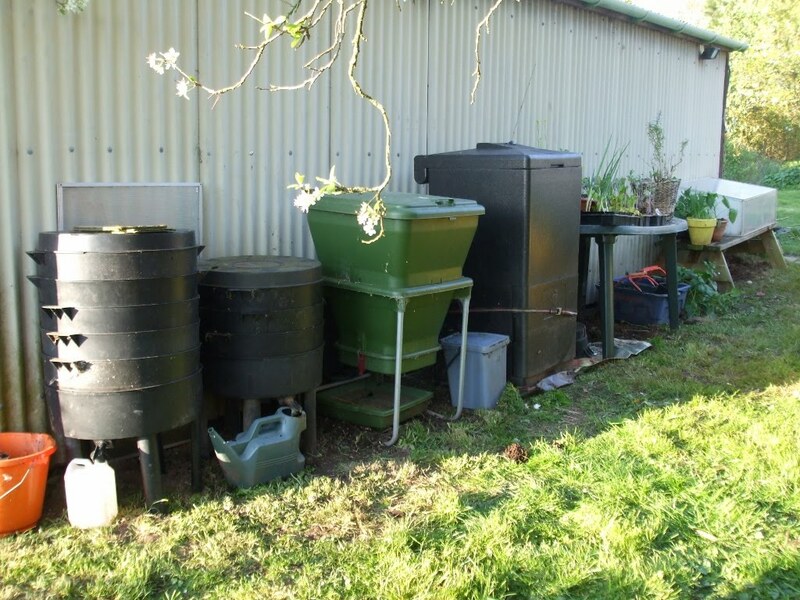 I love talking to people about making compost, gardening, recycling or growing their own veg. I have been involved in outdoor / wildlife / woodland activity for most of my life. My earliest memories are of making dens, getting muddy, rescuing wildlife and having huge amounts of fun outdoors! I am lucky enough to still get to play outside, but now I help other people have fun as well. 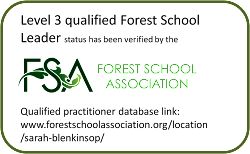 I am a qualified Forest School Practitioner and adult Lecturer and I hold a First Aid at Work certificate as well as additional certificates in Paediatric FA, Epipen use and FA in the Outdoors. As you would expect I have an enhanced CRB check, both for children and vulnerable adults. I am fully insured for the activities I lead and I have undergone Health and Safety, Food Hygiene, Risk Assessment and Fire Marshall training. I have also undergone Safeguarding, Diversity and Equality training and have an adult teaching qualification. I can provide references/testimonials on request. I have worked for various environmental charities and schools as an Environmental Educator/Playworker on a freelance basis for many years now. I have done various Playwork courses and I trained as an RSPB Wildlife Explorers Club leader. I am also an experienced and qualified Master Composter and Master Gardener. I have run very successful after school Eco Clubs at several local Primary Schools and have also taught Organic Gardening and run a lunchtime Gardening Club for children. I have trained Early Years practitioners in outdoor play and natural crafts, on behalf of Herefordshire Council, and I have worked with local Children's Centres to deliver environmentally themed play sessions with children and their parents/carers. I live with my husband and daughter in a beautiful part of rural Herefordshire. We grow our own organic fruit and veg and make lots of cider, wine, jam and chutney. We share our lives with Chickens, Cats and assorted wildlife! I am also a qualified Holistic Therapist and I enjoy making household and personal care items using green and natural ingredients. I make soaps and candles and creams and potions and have also had a go at many traditional crafts such as basket and hurdle making and green woodworking. In my previous career I was a research scientist and I have a degree in Materials Science and Metallurgy and an ONC and HNC in Electronic Engineering. I took redundancy from all that and for several years ran my own business as an Environmental Consultant, often working with Friends of the Earth local groups.